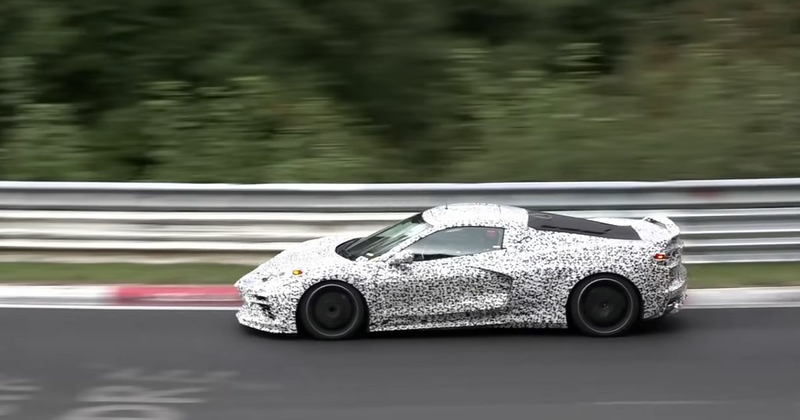 We’ve known for some time that the successor to the current ‘C7’ Chevrolet Corvette is going to be mid-engined. 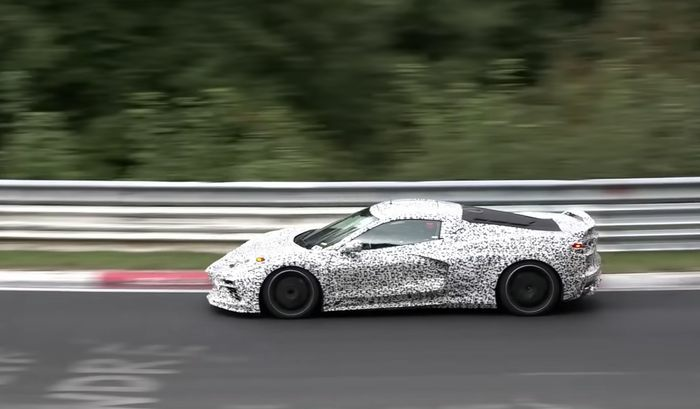 Few car industry ‘secrets’ are quite so badly kept, so it was no surprise this week when a big batch of Nurburgring testing photos did the rounds on the Internet, confirming what didn’t really need to be confirmed. But as to what will sit in the middle of the ‘C8’? That’s more of a mystery. Now we have this Nordschleife testing footage to examine, the powerplant question is becoming a little easier to answer. Judging by the exhaust note, we’d put money on it being a V8, but the configuration is a little harder to nail down. To our ears, it’s a little too muted to be a big, naturally-aspirated eight-banger. A twin-turbo unit is our guess. Most of Chevrolet’s competitors have been ditching N/A engines in their performance cars for smaller turbo lumps, so it wouldn’t be a surprise to see the US firm do the same. That being said, previous reports have suggested that - while a twin-turbo version is indeed on the cards - there will also be an entry-level N/A C8. Here’s hoping Chevrolet goes for this why not both approach. The car should be fully revealed at some point in 2019, going on sale the following year.